Students Rising Up! | Join the coalition that struggles against the gun holdings. Congratulations to the University of California, Santa Barbara students and their peers at UC, Irvine! Both student governments recently voted to pass a resolution demanding the $88 billion university endowment be completely divested from the gun industry. Student resolutions at both schools named three publicly traded gun companies (Smith & Wesson, Sturm Ruger, and Olin), Cerberus Capital Management (owner of Freedom Group, maker of the assault weapon used in the Sandy Hook School massacre in December 2012), and Cabela’s (a firearms retailer and major donor to the NRA). The resolutions further demanded transparency from the university’s Chief Investment Officer about past investments in the gun industry, and a formal ban on investments in these companies in the future. Read Bob Weiss’s (father of Veronika Weiss, who was murdered in the Isla Vista Shooting) statement to the University of California on why it should divest. For more on the movement to DivestGuns from college endowments, go here. 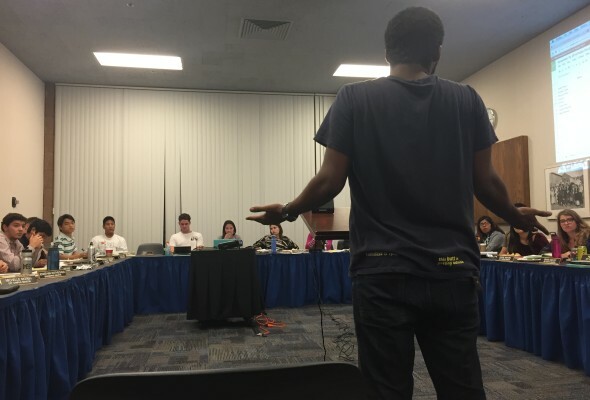 Read our press release and the resolution passed by AS Senate at UCSB.